that an imposter could be elected as President of the United States. 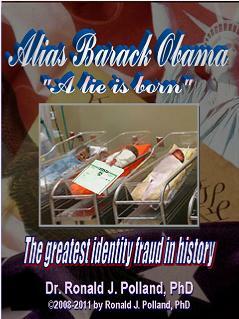 After three years of the most comprehensive research investigation ever conducted, I am finally publishing the results in my ground-breaking book series, Alias Barack Obama: The greatest identity fraud in history. It documents all of the lies, distortions, deceptions, and propaganda put out by the perpetrators as they carried out their fraud and cover up: to fabricate the identity, biography, and family histories of a foreign-born imposter that put him on the political fast-track to the White House. convinced millions of people in this country that Barack Obama is a US citizen, born in Hawaii, and eligible to be President of the United States. The roots of this fraud began long before anyone ever heard of Obama. His biography was carefully constructed, perfectly scripted, programmed, and packaged for mass consumption by a highly-malleable media. They, in turn, used their influence on the public to promulgate it without ever intending to investigate and report on its veracity. In fact, just the opposite happened. In collusion with the Obama campaign, the media actively sought to withhold from the public any information that might damage his run for President or to derail his plans to radically transform America into a giant nanny state. The mainstream media have done everything in their power to make the issue go away: from ignoring it, to conducting disinformation campaigns, to launching vicious attacks against anyone seeking the truth. Yet, rather than be dismissed as a "distraction to more important things like jobs or the economy," or simply the work of "right-wing extremists," more people are realizing that the future of this country literally depends on identifying who is the imposter in the White House and who are the ones who put him there. The Obama Administration, the Hawaii Health Department, the media, and the public who claim that a digital scan of Obama's 2007 COLB was actually posted by anyone connected with Obama or his Campaign have no earthly idea what they are viewing. 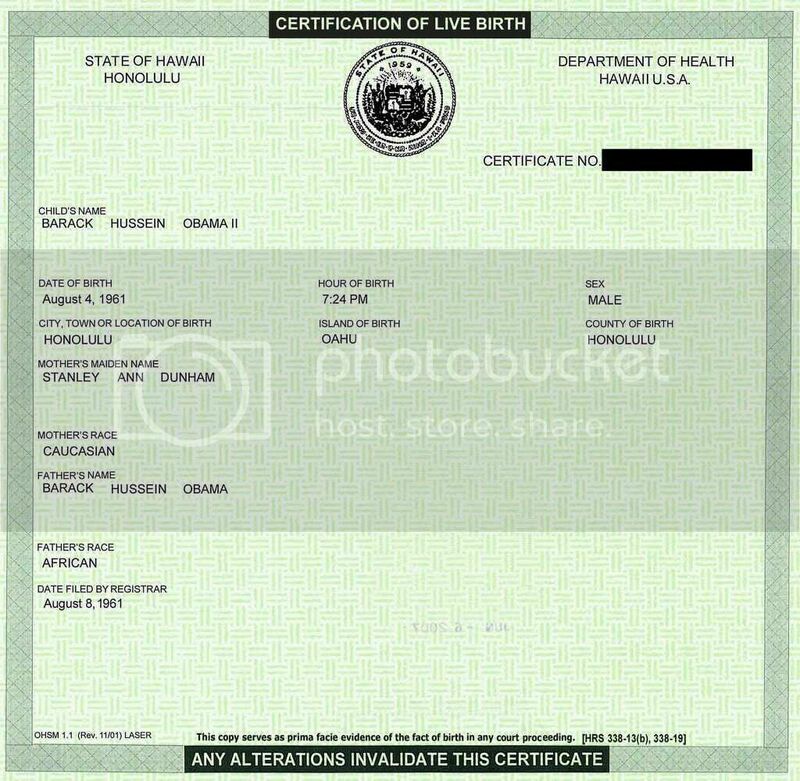 Over half a million people have seen a copy of Obama's "birth certificate" that was originally posted on the Obama Campaign's anti- rumor website, Fight the Smears, on June 12, 2008. However, the copy that these people have seen has been in my Photobucket account since July 2008. For the past year, hundreds of thousands of people have referred to it, posted links to it, mostly on the "myth-busting site," Snopes.com, and have insisted that they are looking at Obama's authentic COLB. 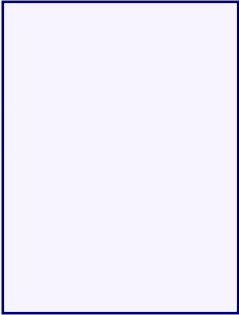 What they have been seeing and referencing is a fabricated image that I created from scratch that uses genuine COLB's that I have collected since October 2008, and without any part of any image copies of Obama's COLB. It took me more than six months to reverse-engineering Obama's forged Certification of Live Birth, and the actual steps I used to recreate the forgery have been documented in videos posted on my YouTube channel since May 2010, with over 1,400 test images posted on Photobucket. Together they prove that no scanner on the planet, nor any genuine Hawaiian COLB, could have made any image that looks anything like what the Obama Campaign and Administration claim is a genuine scan made from an authentic 2007 COLB issued to Obama. This image exists only in the virtual world of the Internet, and could only have been fabricated in Photoshop in the ways I have specified. A lie is born (interactive PDF, 215p) provides the irrefutable, concrete proof that the "digital scan images" were forged and that the "digital photographs" produced by Factcheck were made from the same forgery. No one else has ever even attempted this. It also proves that the Hawaii Health Department, Obama Campaign and Administration, St. Petersburg Times (Politifact), Annenberg Foundation (Factcheck), CNN, and other news media outlets have been lying about this COLB forgery from the very beginning. By creating clones of the original Photoshop forgery, I was able to generate the various copies that were distributed to the media and web sites that displayed them. I have now traced the genesis of the forgery and the chain of custody that links together the people responsible for its creation, dissemination, and cover-up that continues today. You must read this book and finally learn the truth. This image is the gateway to the greatest political conspiracy in American history! The SECOND chapter of my book sets the tone for the rest of the chapters to come. It lays the groundwork for the creation of a personality and person who did not exist. he is, rather, a "Manufactured Candidate"
put together by principles and practices that throughout history have raised people from total obscurity to prominence and power. This is how he ascended to the Presidency in the span of only 16 years of political service.